JNN 04 July 2014 London : A plan to train and equip a 100,000-strong Terrorist Force to defeat Syrian President Bashar al-Assad was drawn up by Britain, then scrapped as it was deemed too risky, BBC Newsnight reported on Thursday. The alleged proposal, put forward two years ago, was the idea of General David Richards, then chief of Britain’s defense, according to the BBC. 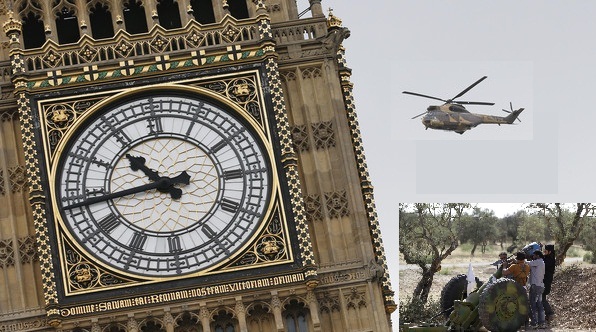 The secret “extract, equip, train” militants at bases across Turkey and Jordan proposal was considered by Prime Minister David Cameron and the National Security Council, as well as U.S. officials, the BBC said, citing Whitehall sources. As part of Richards’ proposal, the “substantial army” of moderate Syrian rebels would have been trained at bases in Turkey and Jordan. Sources have also revealed that US military instructors trained Takfiri terrorists of the so-called Islamic State of Iraq and the Levant (ISIL) at a secret base in Jordan in 2012. At least one of the ISIL training camps is in the vicinity of Turkish air base, Incirlik, which houses American personnel and equipment. The United Nations says some 10.8 million people in Syria need assistance, of which 4.7 million are in hard-to-reach areas, while another three million have fled during the three-year uprising against Assad. Some believe the opportunity to carry out such an initiative has been missed. Professor Michael Clarke, of the Royal United Services Institute think tank, told the BBC: “We have missed the opportunity to train an anti-Assad force that would have real influence in Syria when he is removed, as he will be. Some 400 British nationals are thought to be fighting in Syria, in what could constitute a crime under UK terrorism legislation. And as a Backlash of such Plans and training now the Fears are growing that European militants trained and hardened in Syria may carry out terrorist attacks once they return home. The West and its regional allies, including Qatar, Saudi Arabia, and Turkey are giving financial and military support to the militants. This entry was posted in Europe, Middle East and tagged bashar al asad, BBC Newsnight, General David Richards, Mercenaries, militants, Prime Minister David Cameron, Syria, Turkey. Bookmark the permalink.